Can you see Lucas peeking over his glass? He is staring lovingly at his Godfather. 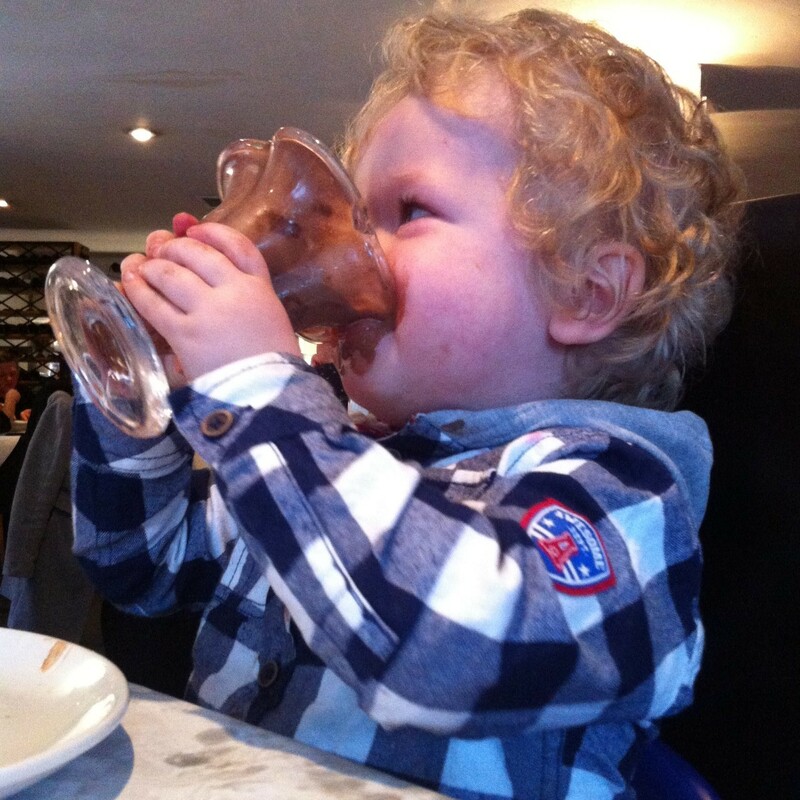 He couldn’t believe it when I took him to an Italian and walked over to a table with both Daddy and his Doe Doe Doe (Lucas’ version of his Godfathers name) sat there. 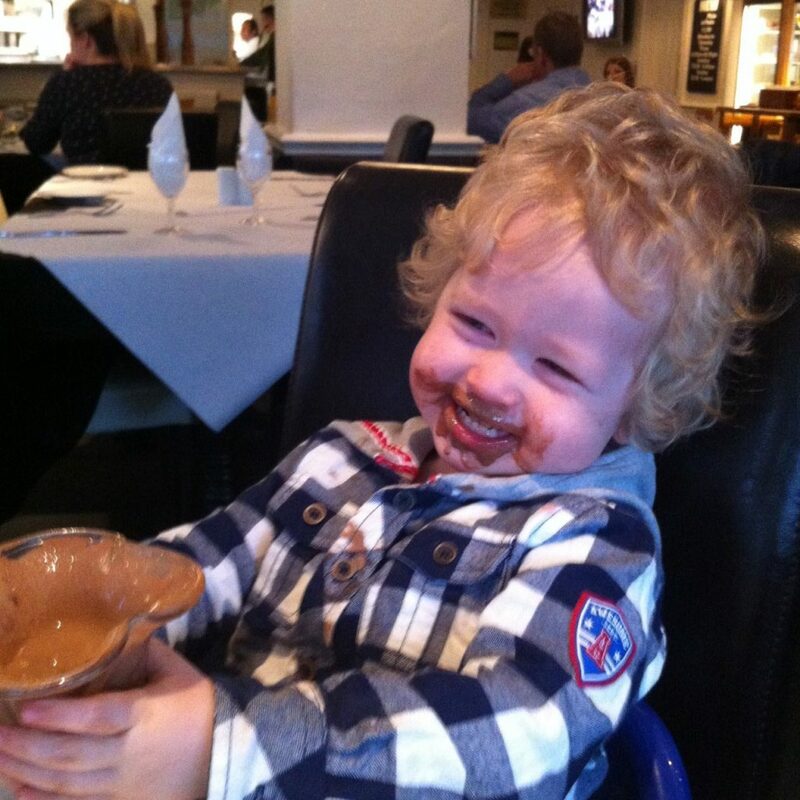 Lucas was in his element, his hands did their own little dance of delight when the garlic bread was placed in the middle of the table, then again for his pizza and the chocolate ice cream finished it off perfectly. Oh bless him, he is adorable! wow that smile could not be any wider!